The 2017 guide for both developers and users. 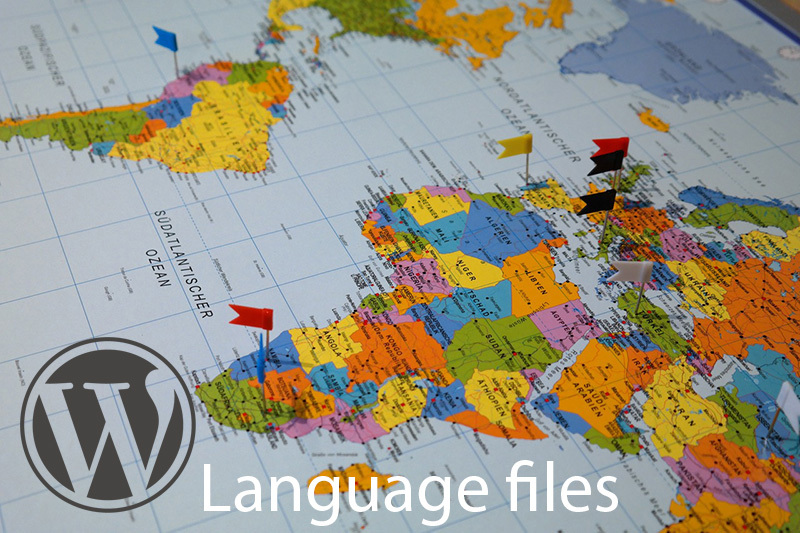 WordPress localization features allows you to make plugins and themes easily translatable through WordPress Language files (po/mo files). This is true especially since WordPress 3.7 and it got a whole lot easier since WordPress 4.6. A lot of improvement has been made to the whole translation system for WordPress, I felt it really needs a refreshed post. For developers, it comes down to how to let WordPress know you have translation files the proper way. As developers we were told to use “load_plugin_textdomain()” and point this to our language file in our plugin folder. However in the past this would be the only place WordPress would look and if a customer added their own language file there, on the next update it would be gone! There was an article on the web a while back promoting using a second call this time using the function “load_textdomain()” to point to a file in the WP language folder and that is what a lot of people did (including us). This meant that users could place their language files in a predetermined place in the WP language folder and the translation would not be lost on the plugin update. Users need to know where to put a custom translation for a plugin/theme, the problem is that in the past this could have been in several places. The WP documentation tells developer to link to a folder inside their plugin folder called “languages” but the developer might use the folder “lang” and even then this will be lost when the plugin/theme is updated. Some developers would add a second check again in a place of the developers choosing, but often in a custom named folder in the WP languages folder. This meant there was no consistent way for a user to know where to place their custom translation files safely. Since WP 4.6 this got a whole lot easier for both users and developers! Notice we fire these on the ‘init’ and ‘after_setup_theme’ hooks, this should mean everything will load nicely. If you fire it directly or before their respective hooks you can have problems with some strings not translating and plugins to manipulate translations or to create multi lingual websites such as WPML, might not work at all. As users we now have a convenient and consistently named place we can place our language files. The ‘my-plugin’ and ‘my-theme’ being the textdomain of the plugin/theme (usually found in the plugin readme.txt or the theme style.css at the top). This is a great improvement over the old way and will prevent losing translation on updates in most cases. In some cases the plugin/theme might already have a new translation in your languages stored on wp.org, if this is the case then it might overwrite your .mo file but in most cases this will be desired. You can contribute to translations on wp.org if the plugin is hosted there, if it is a premium plugin there there is little chance it will be overwritten. I hope this clears translations up a bit and if you have any questions or have anything to add please leave a comment below. A nice feature that came with the second call to “load_textdomain()” is that you could create custom translations as a user of the plugin. E.g. if you would use a plugin that was specifically build for displaying cars, but you want to use it for boats, than you might want to change some translations to terms used in boating. Or if you disagree with the tone of voice of some translations, you could also change the text to fit your style. Would that still be possible in the ‘new’ way? thanks for your comment, but that’s not correct. In your theme language folder you don’t add the text domain, but when you move it to the wordpress language folder (wp-content/languages) then you need to add the textdomain.